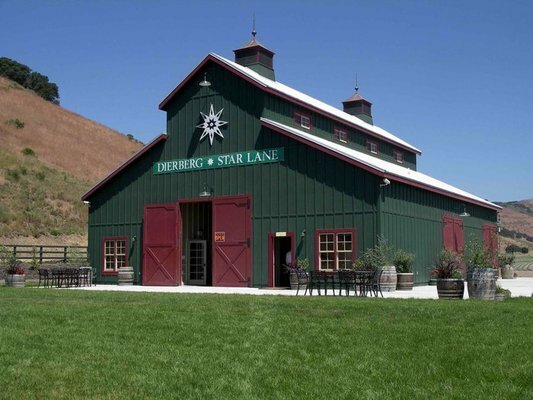 I have been drinking Dierberg and Star Lane wine for more than four years. And I love many of the wines they produce. Before I get into the actual winemaker dinner that I had the pleasure of going to, I want to tell you how I came to learn about this great place and great wine. About four years ago, I was at the Los Olivos Café & Wine Merchant and saw a bottle of Dierberg Pinot Noir. I was familiar with the Dierberg Vineyard, but not their wine. How can that be? One of my other favorite Pinot Noir winemakers in the Santa Barbara County area, Flying Goat, had been buying grapes from that vineyard and making wine – and it was wonderful. So I ended up drinking that for lunch (well, along with the rest of the people in the group). Then one of the employees informed me as to where the actual Dierberg Winery Tasting Room was located – which was not that far from three other great wineries in the area – Foley, Melville and Babcock. DIERBERG has built quite a reputation with Pinot Noir, Syrah and Chardonnay. They also own another winery called Star Lane that focuses on Cabernet Sauvignon, Merlot and Sauvignon Blanc. Their third label is called Three Saints and features Chardonnay, Pinot Noir, Syrah and a Bordeaux-style blend called “Sixty Seven”. Now back to the Winemaker Dinner. As I have mentioned in other posts, if you ever get the opportunity to attend a Winemaker Dinner, it can be an incredible experience. You get to taste wine from the same winemaker (or at least the same winery owners) paired with some amazing food – the way the winemaker and chef intended it to be. Often the winemaker is in attendance and speaks about what he or she was going for in the wine. So passion comes out in context of a great meal. And you can learn something you didn’t know before about the wine, which always is fun to experience. 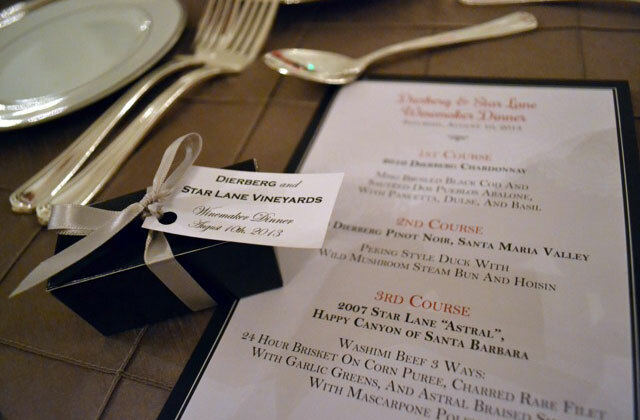 This particular Winemaker Dinner was being held at the Star Lane Winery, located in Happy Canyon on the east side of the Santa Barbara County wine area. 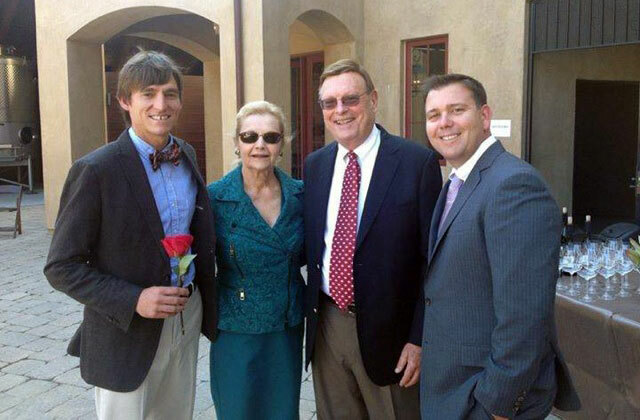 (Dierberg Winery Tasting Room is located on the west side of the area.) 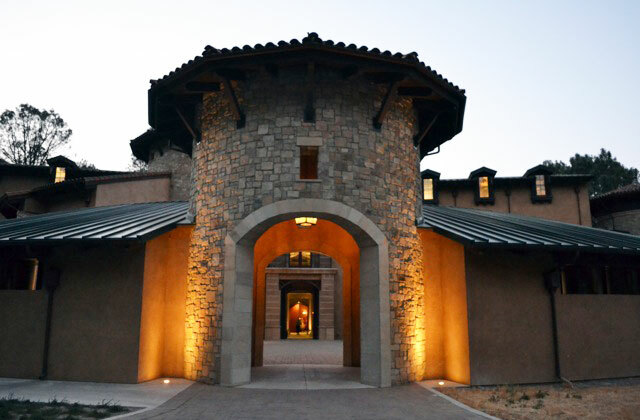 Literally tucked away and miles from anywhere, this new estate winery was built and designed with great Tuscan history in mind. These pictures that you see here don’t do the magnificence justice. Unfortunately, this place is not open to the public, so no one gets to see it – except for this Winemaker Dinner once a year, and possibly an occasional trade event. This place is where the wine is made. We were told it took seven years of cement trucks coming and going to build out the structure and the wine caves below. Additionally, I had the pleasure to meet their new winemaker, Tyler Thomas. He told me that the reason he came to work for the Dierbergs was that they had a great vision. 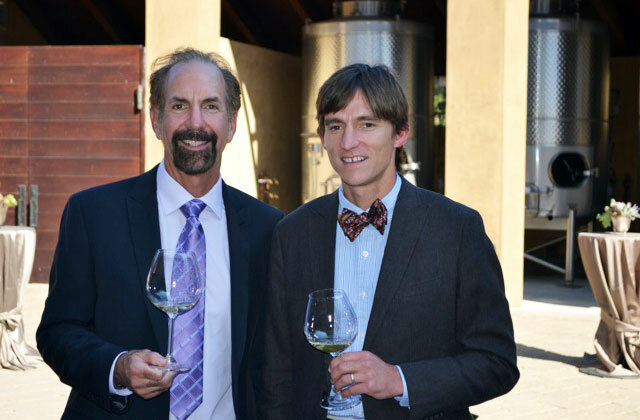 When he asked Mr. Dierberg about a 5-year plan, Jim’s response was that there were 247 cubicles in the wine caves – meant to hold a case for each vintage. So there was no 5-year plan. There was a 247-year plan. Tyler knew then that he had to work for these people. They were planning on being around for quite some time. We had the pleasure of tasting many of the great wines, including some library wines such as 2005 Dierberg Chardonnay and 2006 Star Lane Red Blend “Astral”. After taking a tour of the facility by General Manager Kurt Ammann, we were escorted into the caves where a dozen tables were set up to accommodate the 120 attendees. 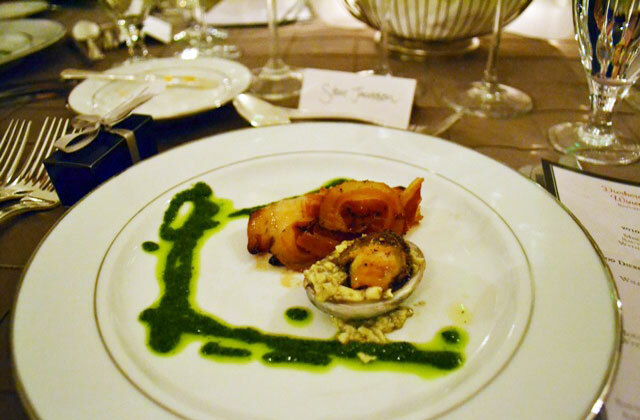 • The first course of the meal was a Miso Broiled Black Cod and Sautéed Dos Pueblos Abalone with pancetta (Italian bacon), dulse (also known as “sea lettuce”) and basil, paired with a 2010 Dierberg Chardonnay. The wine has a soft, rich mouthfeel – substantive without overpowering the delicate fish flavors. This Chardonnay will work with just about any lighter food fare, particularly delicate fish. • The second course was a Peking Style Duck with Wild Mushroom Steam Bun and Hoisin. This was served with the 2009 Dierberg Pinot Noir, Santa Maria Valley. This wine is unique in that it is actually a blend of nine different Pinot Noir clones, including varieties that can be traced back to the French region of Burgundy – known for its Pinots. What does that really mean to what you are tasting? In a word, this Pinot rocks. It is silky, with a nice complexity and structure. It has a bit of spice and earthiness and makes for a great complement for the poultry that was served. 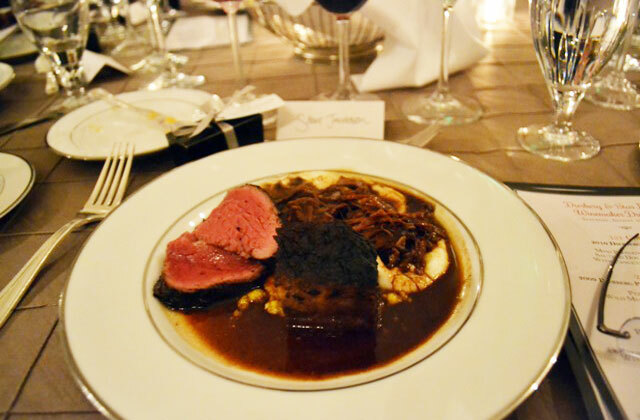 • The third course was my personal favorite – Washimi Beef Three Ways: 24-hour Brisket on Corn Puree, Charred Rare Filet with Garlic Greens, and ASTRAL-braised Shank with Mascarpone Polenta. Basically, it’s meat made up three different ways – each outdoing the other. And paired with the 2007 Star Lane “Astral” – the Cabernet Sauvignon-dominated red blend that features only the best barrels from the prime locations on the steepest of hillsides. This creates intense fruit that is put in new French oak barrels and aged longer before bottling. • The fourth and final course was dessert – Sauvignon Blanc-Ginger Poached Pear with Goat’s Mile & Honey Cheesecake, and Basil Pistachio Ice Cream. All this paired with 2011 Star Lane Sauvignon Blanc – a beautiful white wine that is full of tropical flavors, including passion fruit and guava. It really cuts the rich cheesecake and ice cream quite nicely. The evening was a great experience – amazing setting, great wine and food… But not every dinner can be a Winemaker Dinner served in a wine cave with several courses. Obviously that is a special thing that can happen on a rare occasion. So even if it’s burgers on a grill, make that special with the wine you enjoy… and people you love to share it with. 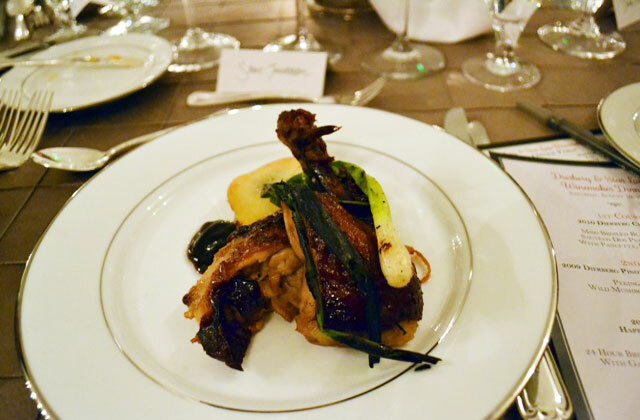 Need more winemaker’s dinner articles? 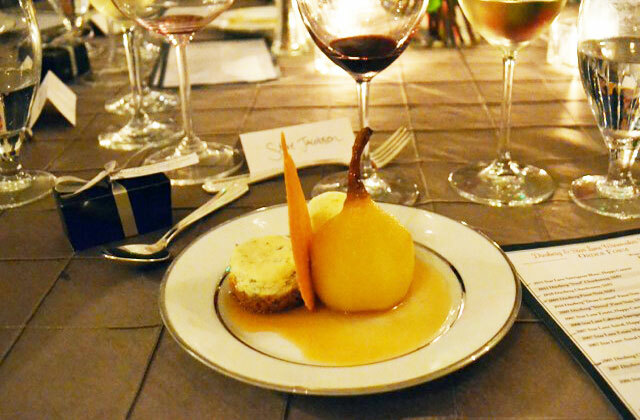 Enjoy Soter Winemaker’s Dinner, another breathtaking experience that took place in Martha’s Vineyard. Hey Guys – Good article. Enjoyed reading it. Keep on. Glad you liked it, Scott. Hope all is well!